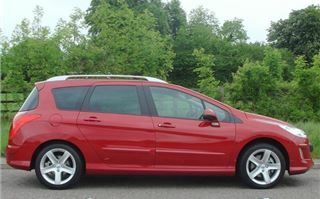 The Peugeot 308SW car is unique. 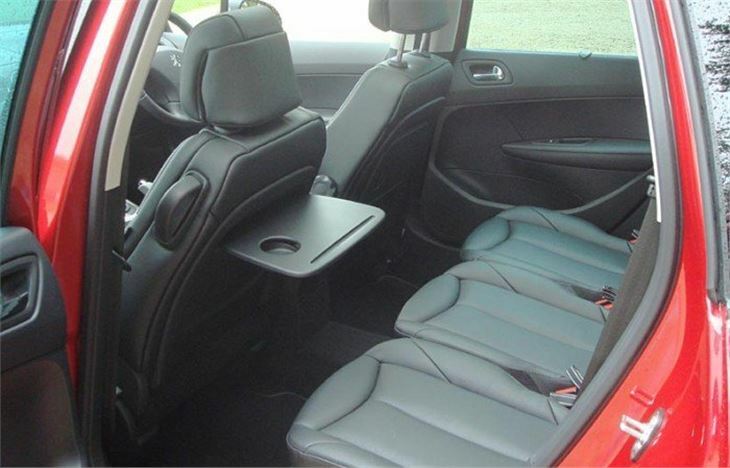 It’s the only affordable station wagon available in the UK with the option of seven seats. And they are all forward facing. The outgoing 307 SW wasn’t bad, combining a great chassis with 7-seater capability. But the Peugeot designers in Paris have looked at every way they could improve it. And I’m pleased to say they have, not least in offering it with a sweet, flexible 150PS turbo petrol engine and all-new 6-speed box that gives it the capability of around 38 mpg. Who needs a ‘depollution system faulty’ diesel? Especially at 125p a litre. To list the improvements I’ll start at the back and work forwards. 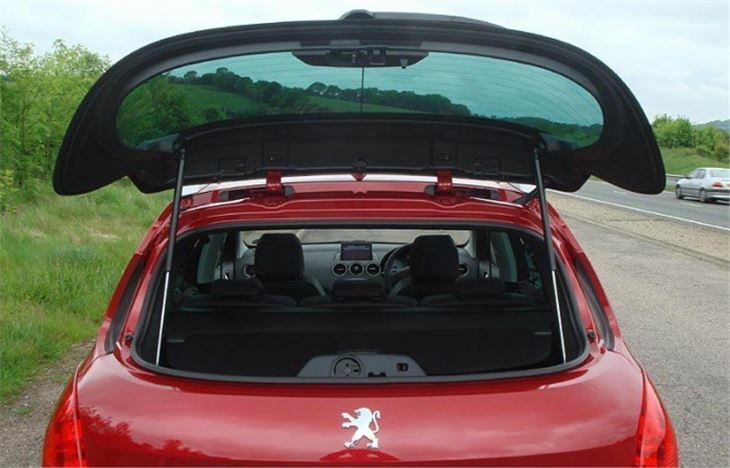 Unlike the 307SW, but like the 207SW, the rear window opens either to drop stuff in the back, or carry ladders or kayaks with one end poking out of the back (more on that later). 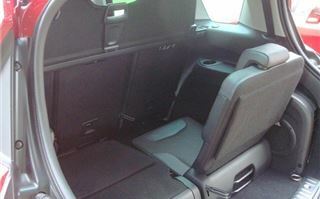 Like the 307SW, the rearmost seats are removable. Unlike the 207, they fold up into neat suitcase size for easy removal and storage. Though if you want to leave them in the car you can double fold them against the backs of the centre row. All three centre seats are full size. They are set slightly higher than the fronts to give the occupants a better forward vision. 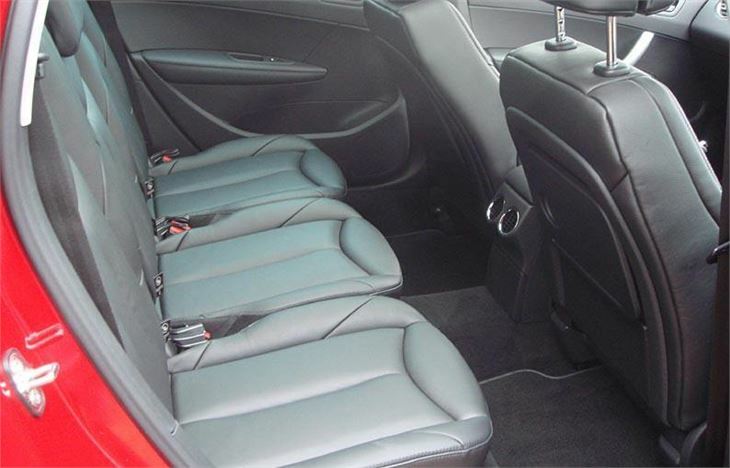 And, uniquely, all three have ISOFIX tethers so you have no problem fitting three sprog seats abreast. Like the S-Max, these seats all individually slide, and from the rearmost position will double fold either to free up space or let people out of the back seats. 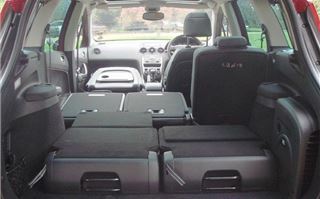 All five rear seats can be completely removed, and the two of the centre row relocated closer together to make it a 6 seater. 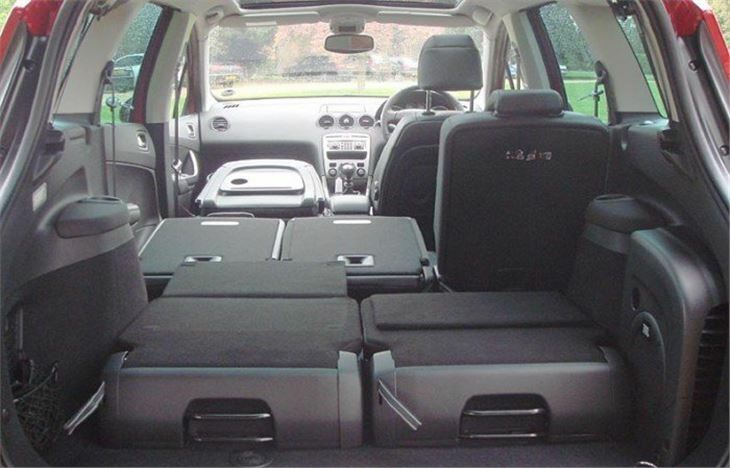 The front passenger seatback folds forwards flat, to make a table beside the driver, or to help accommodate very long loads like flatpack furniture and planks up to 3.1 metres long inside the car, or, ladders, kayaks, etc poking out of the back window. Over everyone’s heads, the panoramic sunroof now stretches back over the rearmost passenger’s heads, giving everyone a view of tall buildings and passing aircraft. 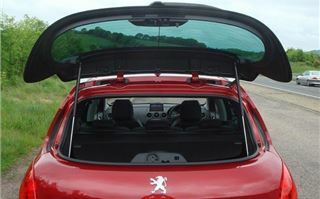 Peugeot has done away with the designation ‘estate’ for the lower spec cars, and all are now called SWs, even though S versions only have a non sliding rear bench seat, cannot take the extra rearmost seats and don’t have a panoramic roof. 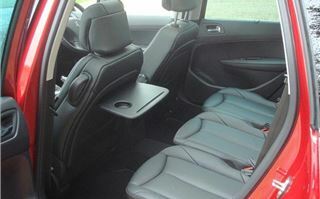 I drove a 1.6THP 150 Sport, at £17,495 plus £495 extra for the pair of rearmost seats. And, having tested a 5-speed 150THP hatchback a couple of months previously, I was immediately glad of the extra gear. This has allowed Peugeot to make ‘top’ a little bit longer, at about 26.5mph per 1,000rpm, giving slightly better economy and more relaxed cruising. As well as 38mpg, CO2 is a reasonable 177g/km, making tax this year £170, though that jumps to £205 next year. You could, if you wanted to, argue your way into the 1.6 HDI 110 at just £500 more and you still get the new 6-speed box. That spits out 139g/km on Energy turns so £120 tax this year and £110 next year and a theoretical 57.6 mpg on 14% more expensive diesel (equivalent to 49 mpg in fuel costs). If you’re not happy with all that glass over your head, a full-length electric blind pulls over it and looks just like a headlining. And for those of you who have to have them, there are two automatic petrol versions and an automatic diesel. 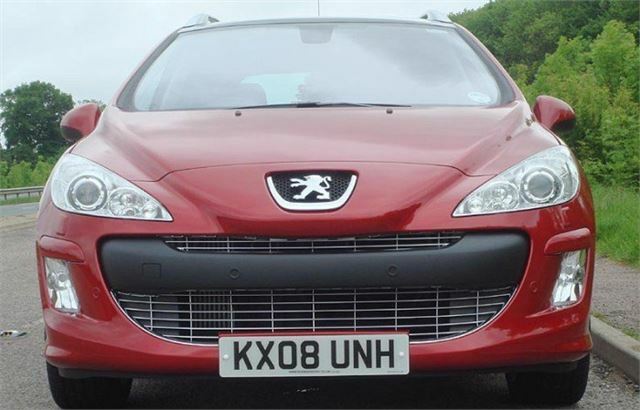 The nasty old bugbear of the 307 was sometimes suspect build quality and reliability. Happily the 308 is now registering the highest customer satisfaction survey ratings for any Peugeot ever, so that worry should now be over. And, as I started by saying, this is a unique car. 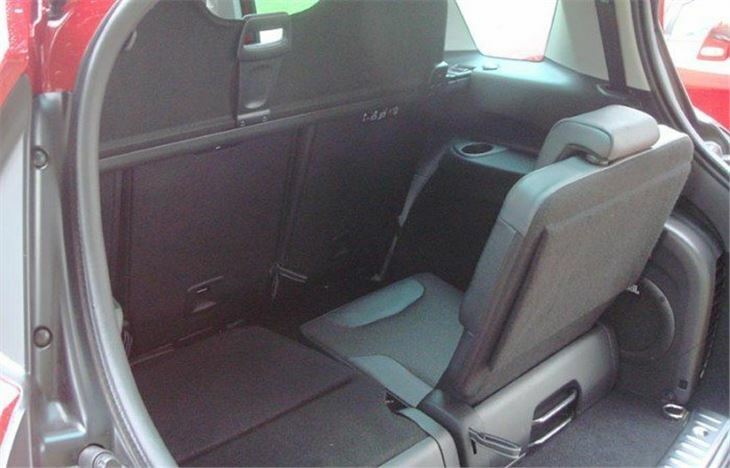 If you’re looking for a sporty 7 seater, there is, of course, the Ford S Max. But if it has to be a proper, car-like station wagon you can’t look any further than the 308 because there isn’t anywhere further to look.